On a dark and rainy night, a shoot-out transpires in the back streets of Seoul. As a mysterious man is chased through the streets he is shot, and hit by a car. Taken to hospital, doctor Lee Tae-joon (Lee Jin-wook (이진욱) treats the man who police identify as ex-military man Baek Yeo-hoon (Ryoo Seung-ryong (류승룡), wanted in connection with murder. However Tae-joon’s problems are just beginning, as later that night his pregnant wife Hee-joo (Jo Yeo-jeong (조여정) is abducted, with the kidnapper demanding Yeo-hoon in exchange for her safe return. Yet as Tae-joon attempts to hand over the fugitive, a special task force lead by Chief Song (Yoo Joon-sang (유준상) are called in, and a deadly game of cat-and-mouse begins. The Target (표적) is a remake of critically acclaimed French thriller Point Blank (2010), which clearly must have impressed the French for the film premiered in the Midnight Screening section at the Cannes Film Festival. Quite why, however, is something of a mystery as Director Chang’s version is an extremely mediocre action film, taking the basis of the superior original and altering it to make a very competent, solid, and enjoyable action romp yet one that fades from memory with ease. The Target begins well, setting a dark ominous tone in which the violence is located as well as for the mysteries to originate. The impressive tension continues through to the hospital scenes, where the introduction (and indeed, inclusion) of no-nonsense female detective Jeong Yeong-joo (Kim Seong-ryeong (김성령) and deputy Soo-jin (Jo Eun-ji (조은지) are a refreshingly welcome addition in a genre that is often overly-masculine, with their stern, efficient attempts to uncover Yeo-hoon’s identity and his role in the murder case one of the highlights of the thriller. Yet following a hospital breakout sequence, the tone of the film never stays consistent as director Chang attempts to juggle the abundance of characters and their respective narrative arcs, and as such the excitement begins to wane. Ironically however as the pace is generally handled well the film never becomes stale, resulting in a film that is difficult to fully invest in but entertaining nonetheless. A similar accusation can also be aimed at the action sequences within The Target. While there are plenty of physical confrontations to enjoy, the sequences are always rudimentary and uninspired, failing to capitalise on the premise or even simply to make the film stand out from the vast number of action-thrillers that already exist. Yeo-hoon, for example, is supposedly an ex-military man with a decade of experience yet his fighting prowess rarely extends beyond that of an average man with basic training. 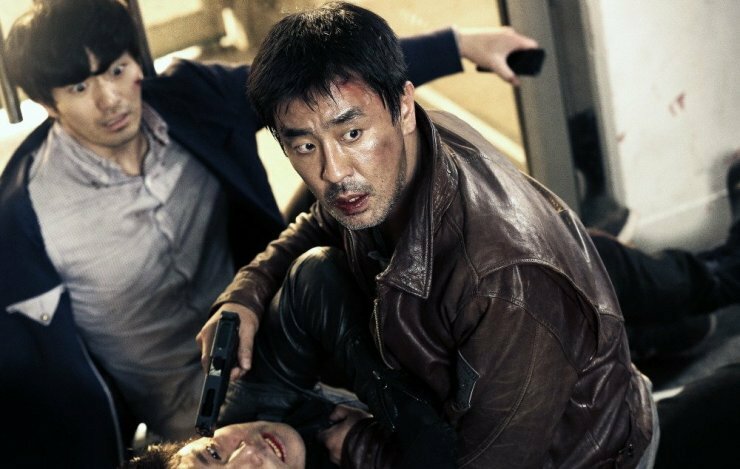 There are fleeting moments however when director Chang is seemingly attempting to enter The Berlin File territory yet never quite manages to achieve it, and as such the action scenes are enjoyable while they last but don’t linger in the memory. Another pivotal reason why The Target is entertaining yet tough to fully engage with is due to the large number of protagonists and supporting characters, which ultimately distracts attention away from the central story of fugitive Yeo-hoon and doctor Tae-joon. As the film continually focuses on peripheral characters and narrative tangents the main story becomes subsumed, making Yeo-hoon and Tae-joon’s uneasy alliance, as well as their quest to solve the mystery and save pregnant Hee-joo, moderately compelling and more of a backdrop to the carnage. Actors Ryu Seung-ryong and Lee Jin-wook perform their roles capably despite relatively weak character arcs, as does Jo Yeo-jeong as the damsel-in-distress, however it is Jin-goo as Tourette syndrome sufferer Sung-hoon and Kim Seong-ryeong as detective Jeong that provide the most interesting performances. Ultimately, with so many characters on screen, The Target is an amusing viewing experience, but one with little depth. 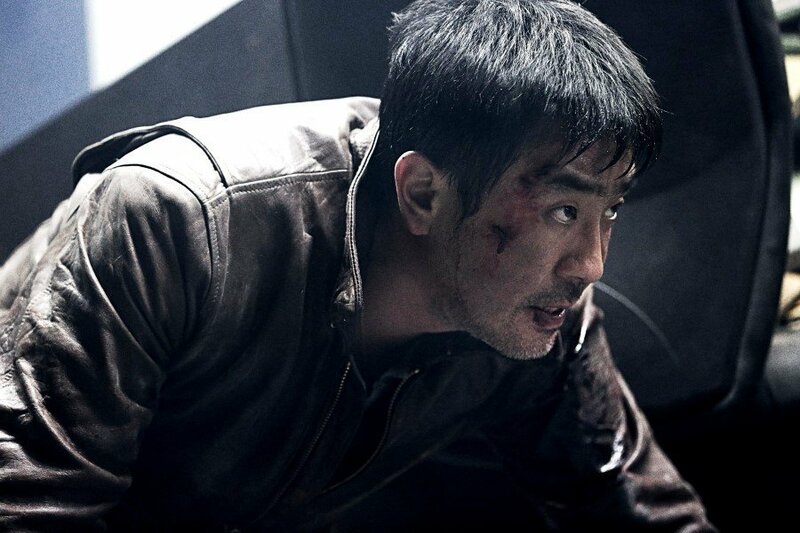 The Target is a remake of French thriller Point Blank by director Chang, and while he has constructed an entertaining action-thriller it’s one that fades from memory relatively easily. With competent yet uninspired action sequences, and an abundance of quality actors that serve to distract from the central story with their respective narrative arcs, The Target is an enjoyable action romp yet when that misses the mark.